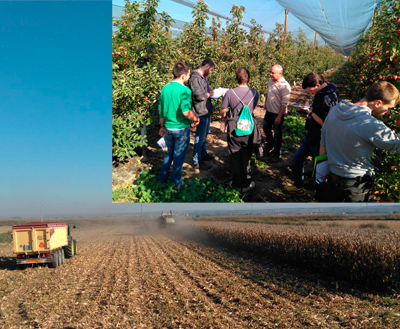 On November 28th, students of the second year of medium degree in farming visited the Mas El Pinós Nou farm in Rupit. Mas El Pinós Nou is a farm that produces cow’s milk. 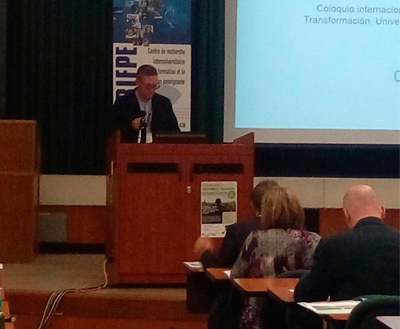 At the moment the two partners of the company are the brothers Jordi and Sebastià Juanola. It is a family business where the whole family works, and also Gerard Juanola, a former student of Quintanes. The Pinós Nou is an example of a highly professionalized company, which combines the set of aspects that integrate milk’s production with a vision of the future. Jordi explained to us the evolution and the current situation of the farm, the certification of milk in origin, the quality audits for food safety, milking and the quality of milk, animal welfare, health, reproduction, genetic selection, morphological and productive evaluation of cows, facilities and associations to which they are part, etc. 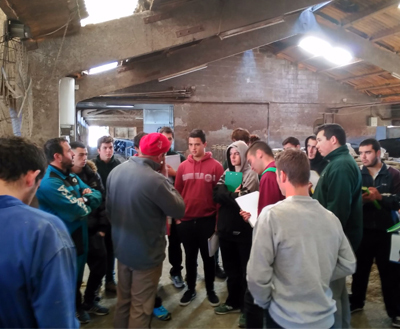 Sebastià explained to us the feeding, the machinery, the crops, raising replacement heifers, the situation of the milk-producing sector. El Pinós Nou is a leader company, an entrepreneurial and innovative company involved in the milk’s sector, which evolves and adapts to the times. The latest investments in facilities have allowed them to improve the well-being of prepartum cows, and an improvement in lighting facilities. 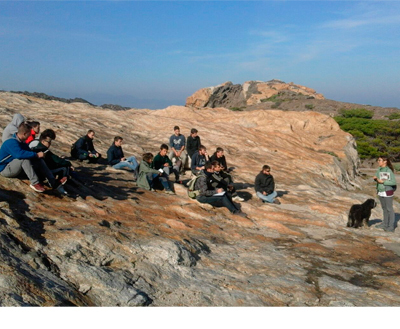 We, the school, thank Mas El Pinós Nou for the opportunity to realize this interesting visit. 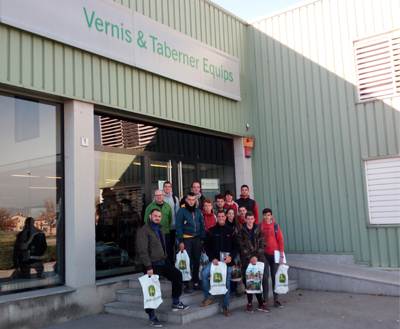 The last 10 of November the students of the formative cycle of upper degree “Paisatgisme i Medi Rural” realised the visit to the company Vernis & Taberner Teams SL. This is a company that devotes in the sale and repair of agricultural machinery and of gardening. With 150 years of history in the sector, at present are official concessionary of the brand John Deere, Echo, Manitou and Komatsu. 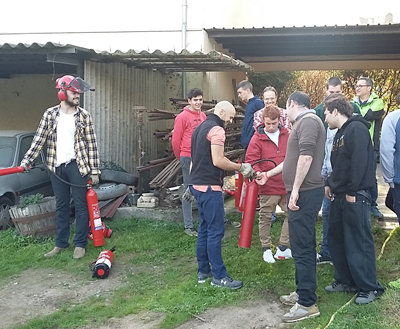 On October 17th, the Mas Bes dairy farm, received the visit of first-year students of High Level of Livestock and Animal Health. Mas Bes is a company that produces cow milk branded ATO Nature. 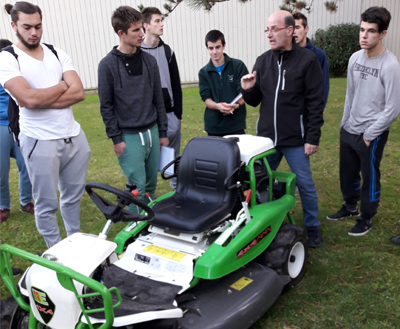 Joan Viñolas, explained the evolution and how the farm operates nowadays, the biogas plant where they produce electricity, and the farm’s visits available to all kind of groups of people interested. The visitors can supplement the experience visiting the historical Farm Museum, seeing the evolution of farmers’ lifestyle, the shop where you can buy several farm’s products, and finally eating in the restaurant farm. Mas Bes is an example of a company open to the public, which evolves, undertakes news projects, announces products which are the result of their work and the values that move them. 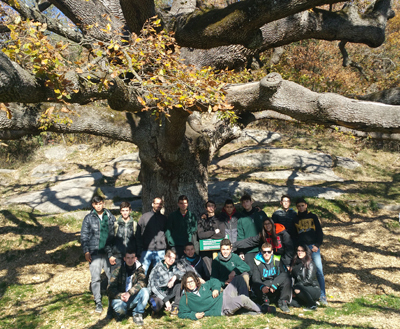 We, the School, thank the Mas Bes farm, for giving us the opportunity to make this interesting visit. 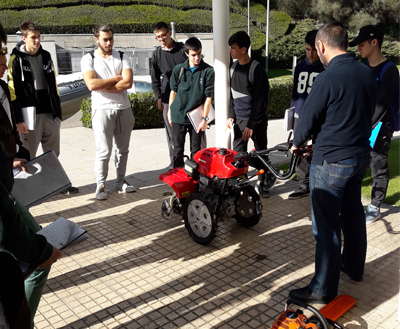 16/10/2017 - A group from the CFAA Ste Livrade School (France) visits us. 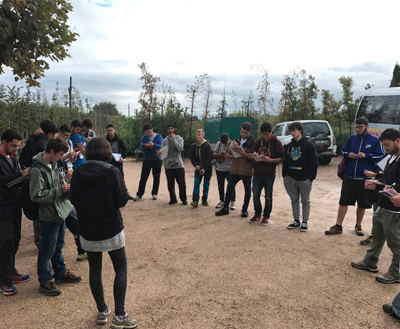 Between the 16th and 20th of October of 2017, a group of French students of the school CFAA Ste. 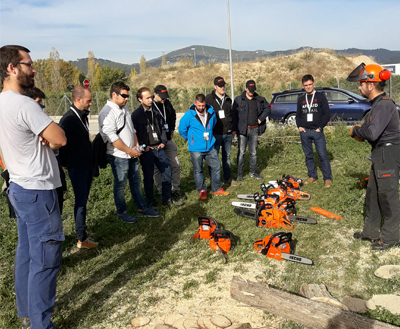 Livrade made a trip to Catalonia to discover the Catalan agricultural and livestock sector. 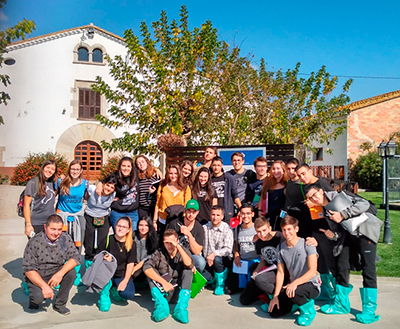 During the trip they visited: the wines and oils at the Celler Cooperativa d&apos;Espolla (Espolla), the sausages’ production at Casa Riera Ordeix (Vic), the production of milk in the dairy farm El Riquer (Gurb), the Porcine production in Mas Rovelló (Manlleu), the farm of ecological beef Mas Vall-Llossana (Castellterçol), and the farm machinery dealer Casacuberta (Vic), also carried out a touristic-cultural visit to Barcelona city. We thank all the people and companies that have collaborated making the trip possible. The schools CFAA Ste. 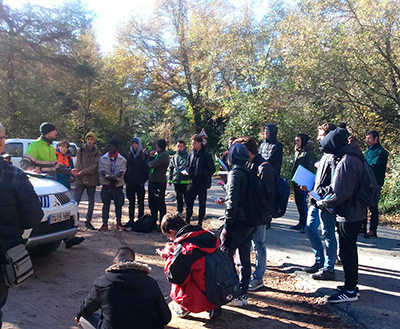 Livrade and Quintanes collaborate in the organization, of a stay that next March, students of Quintanes will do in livestock farms in the Aquitaine region (France).